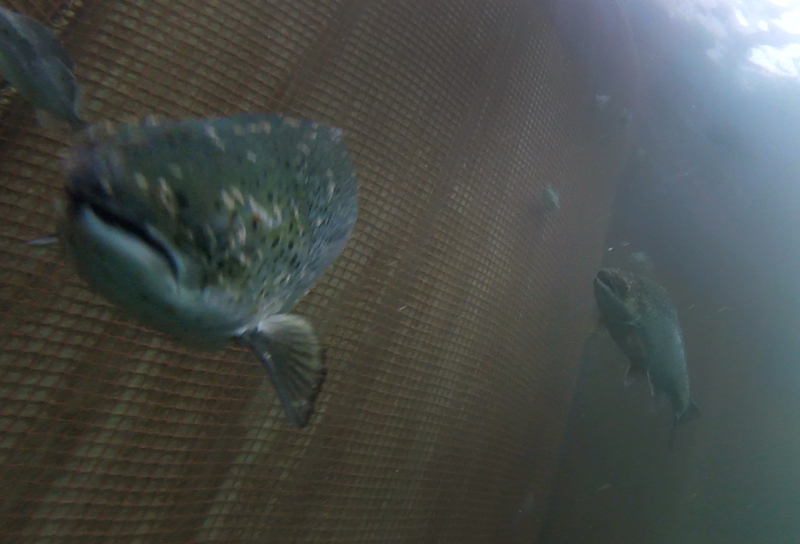 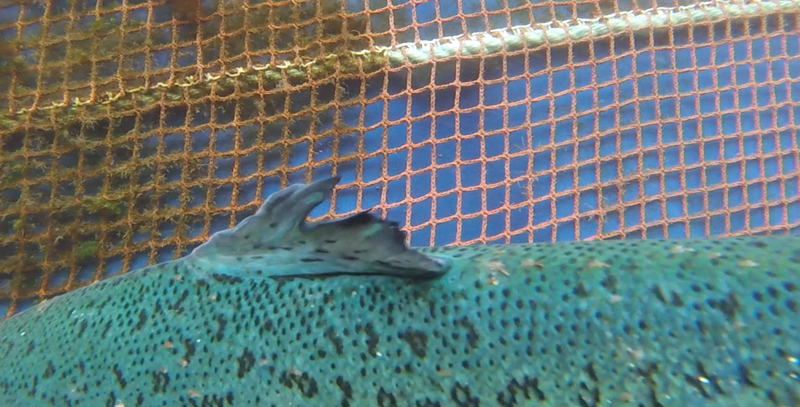 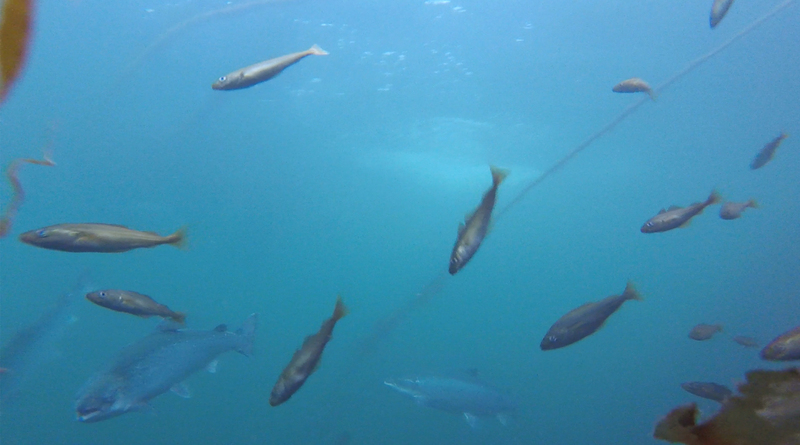 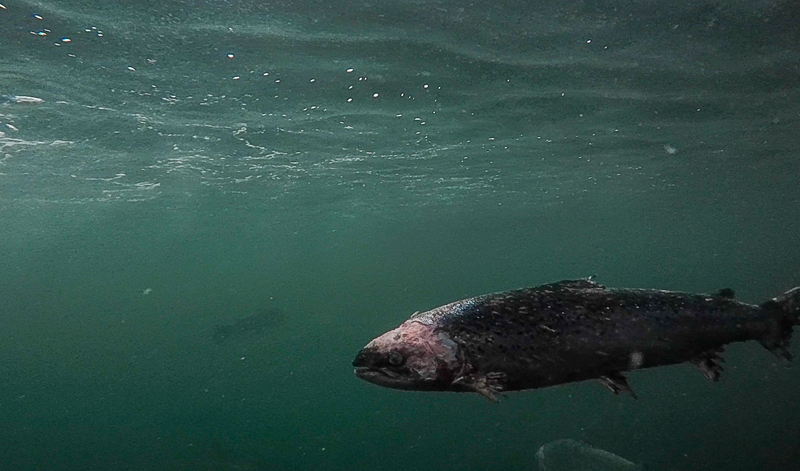 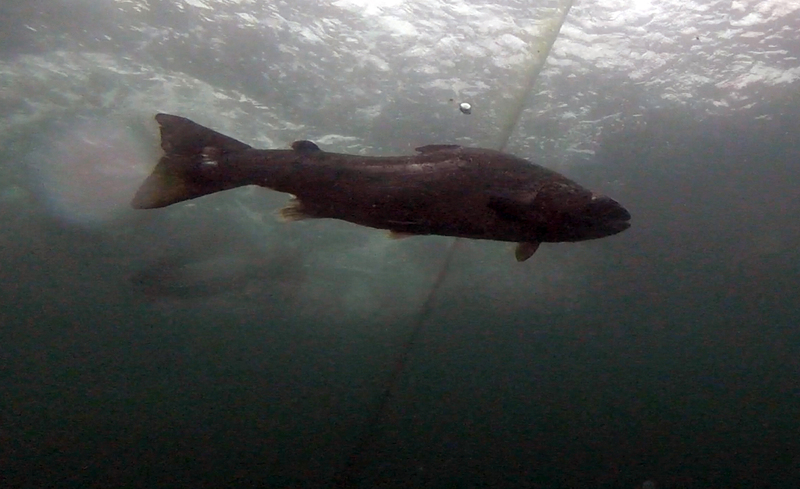 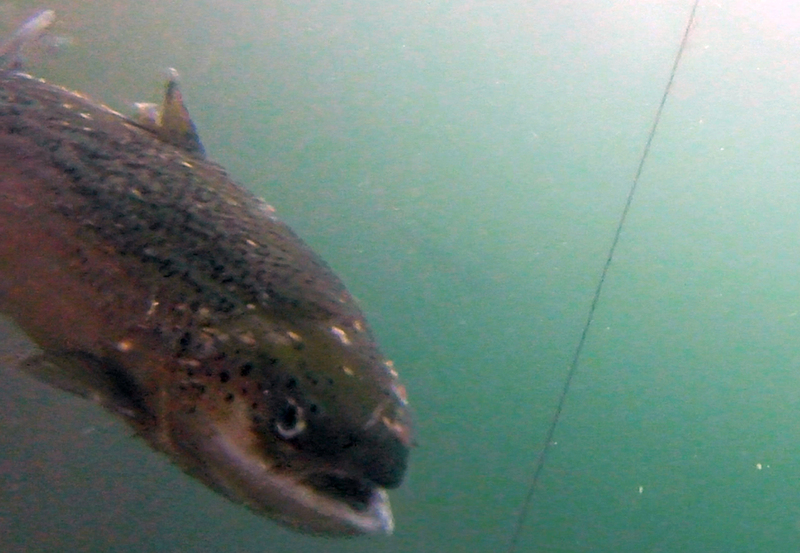 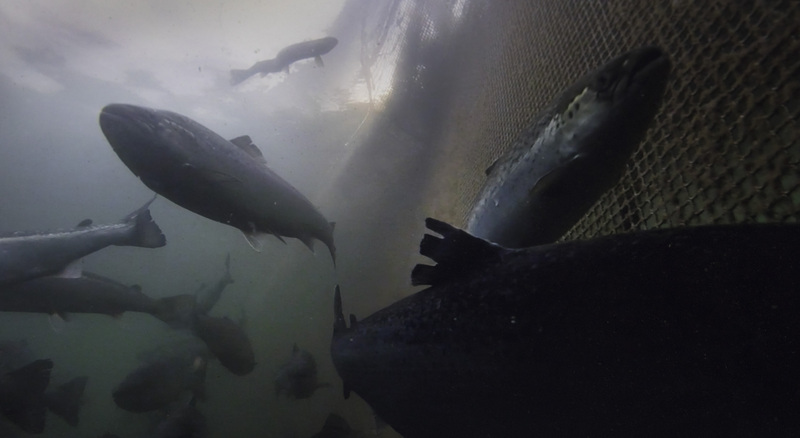 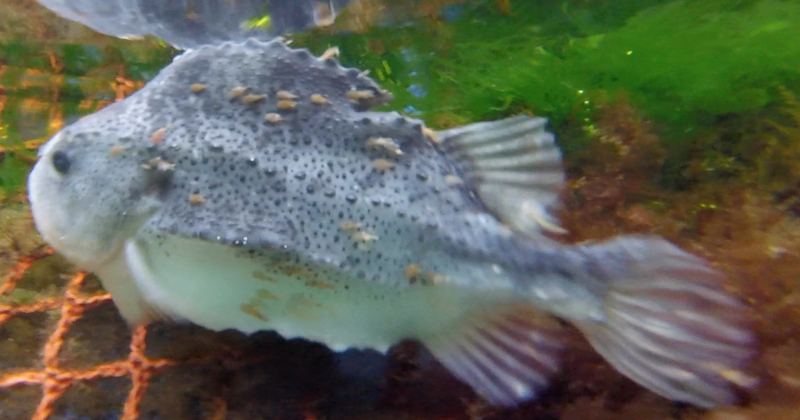 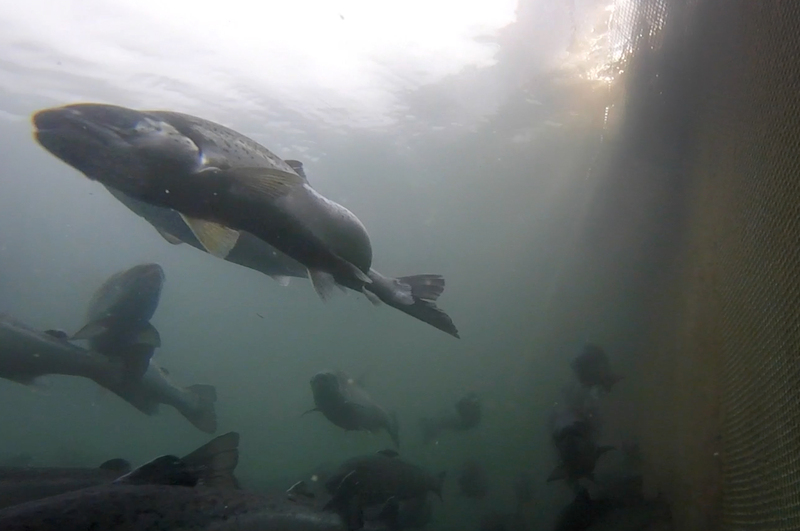 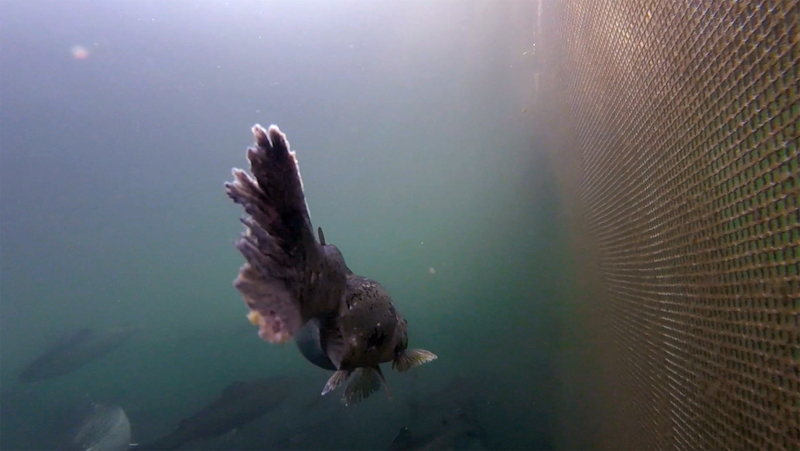 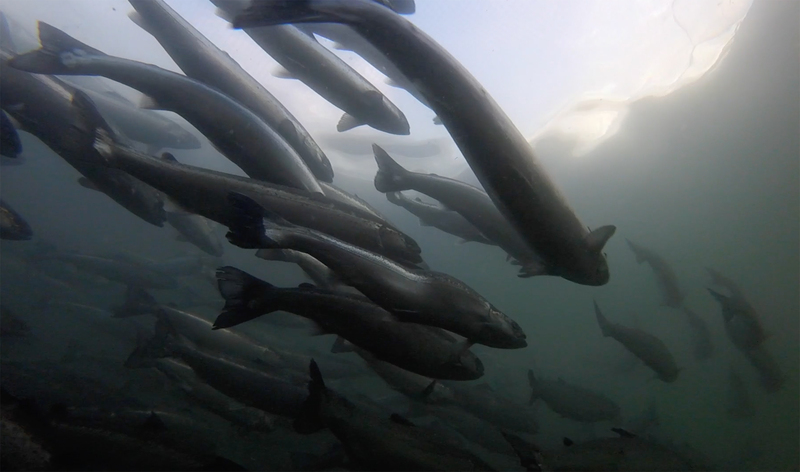 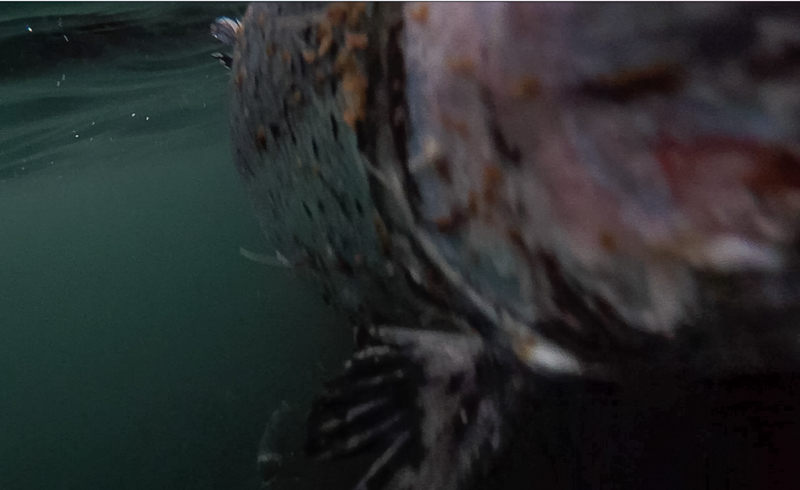 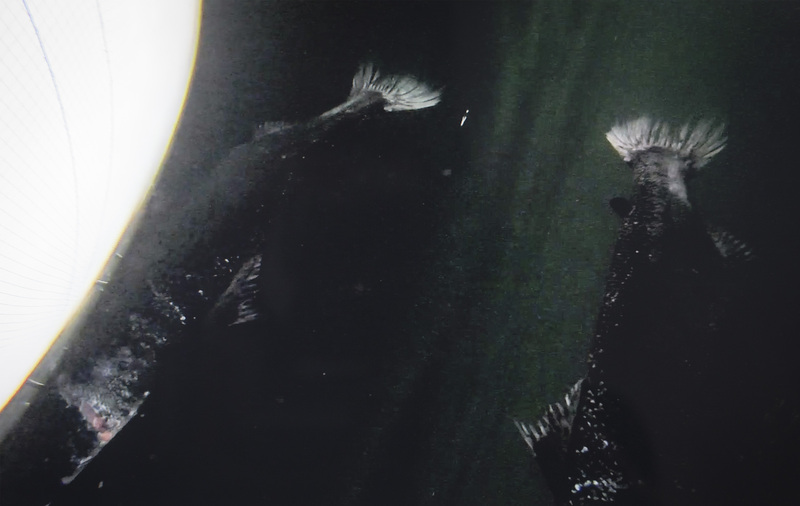 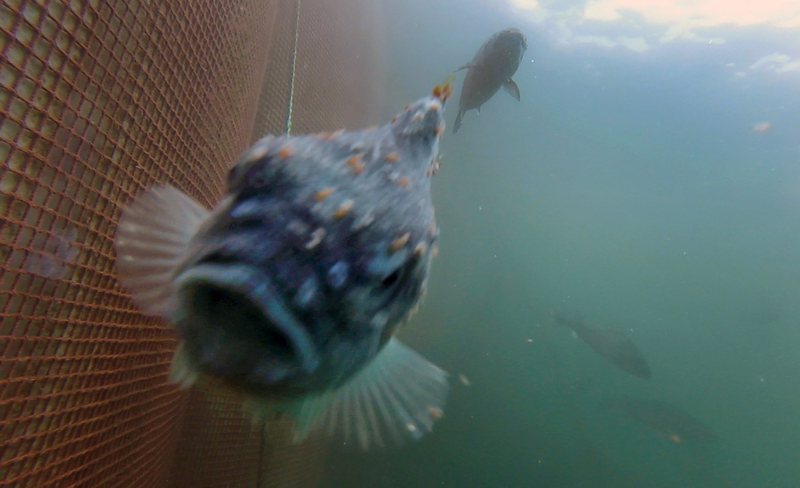 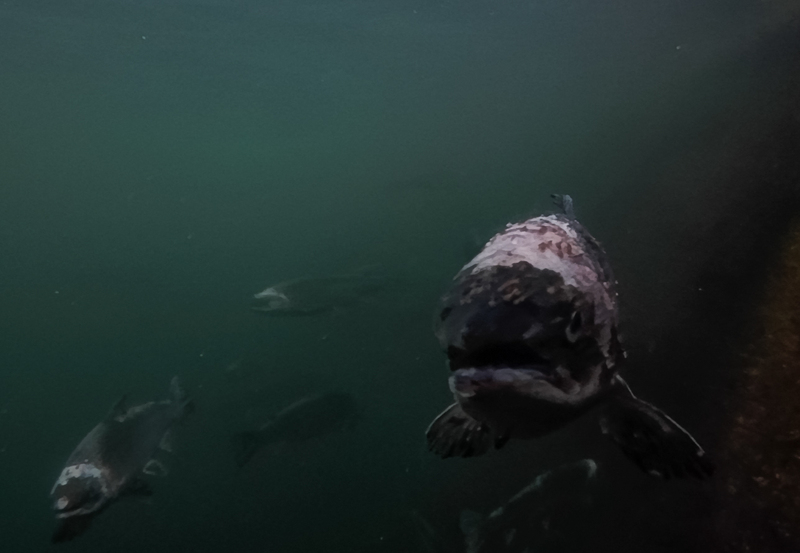 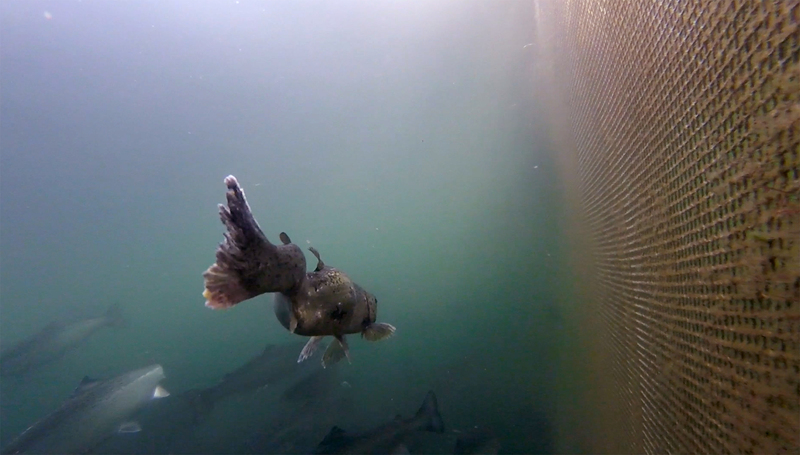 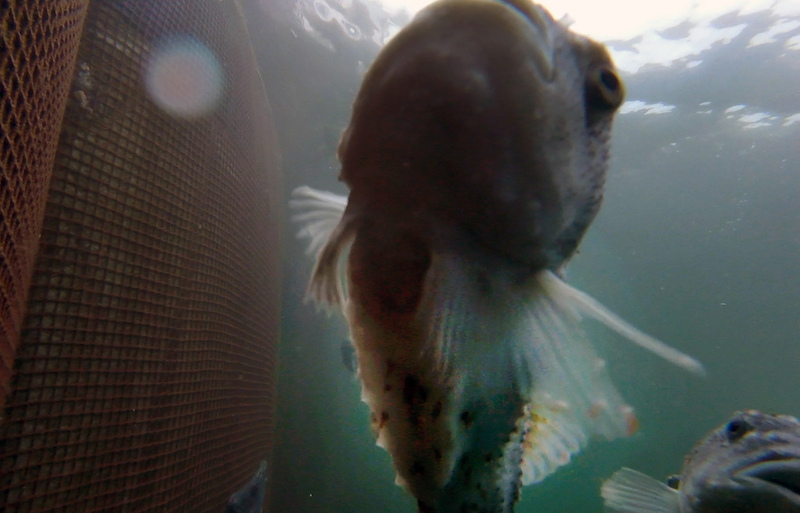 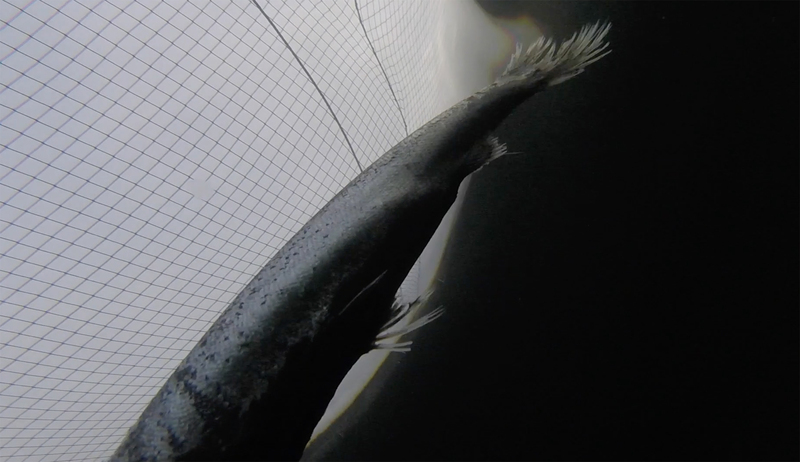 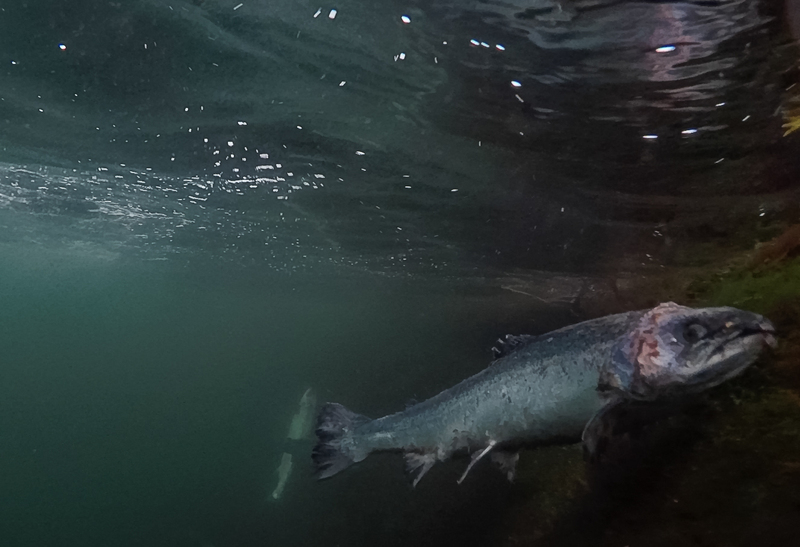 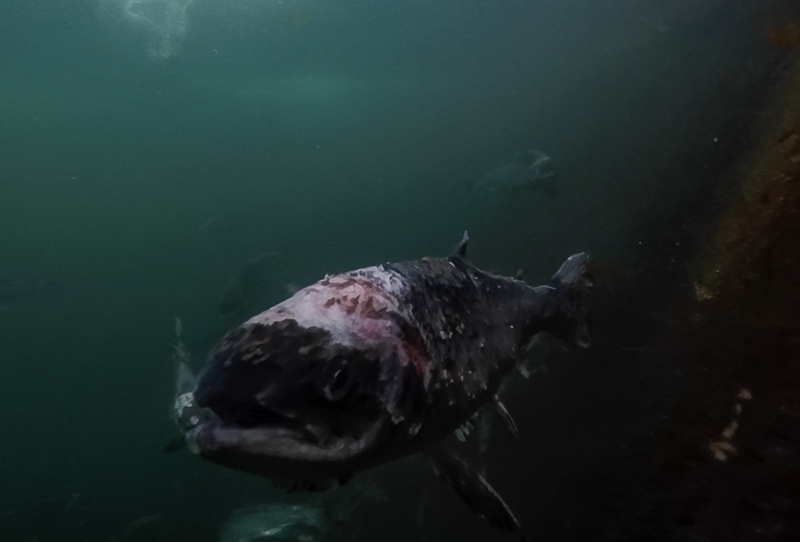 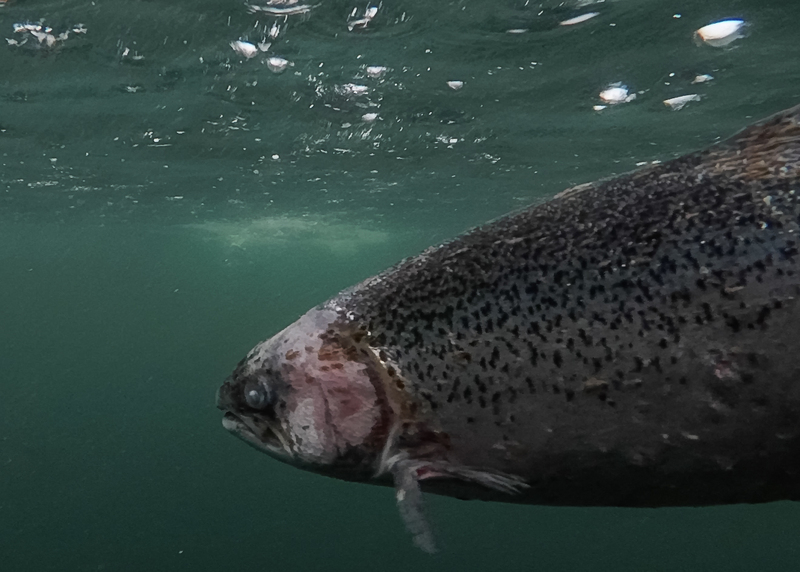 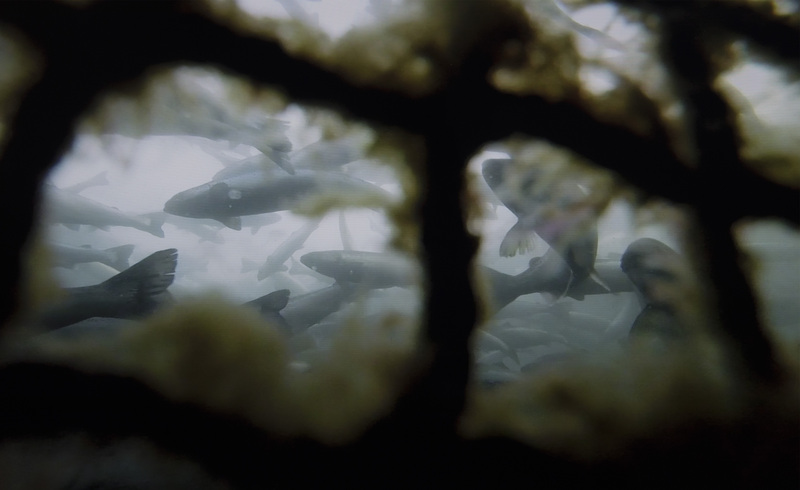 Sunday Post: "Underwater film reveals salmon with twisted spines as fears mount over cages"
Online via "Underwater film reveals salmon with twisted spines as fears mount over cages"
Read more via Sunday Post: "Clampdown looms for salmon farms as Holyrood probe sparks ultimatum to protect fish and safeguard lochs"
Sunday Post: "Clampdown looms for salmon farms as Holyrood probe sparks ultimatum to protect fish and safeguard lochs"
Online via "Clampdown looms for salmon farms as Holyrood probe sparks ultimatum to protect fish and safeguard lochs"
The Scotsman: "Fears raised over eco risks of fish farm expansion plan"
The Scotsman newspaper (23 September 2018) published a photo from Scottish Salmon Watch's secret filming inside salmon farms in Scotland. 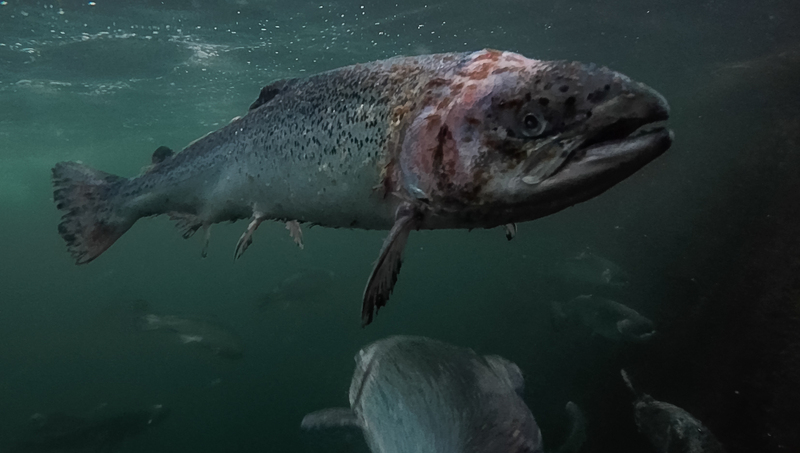 Petition: "Time to clean up Scottish salmon farming"
PETA: "Shocking Video Exposes Cruel Salmon Farming in Scotland"
The disease-ridden Scottish salmon farming industry is reeling from Monday's broadcast by the BBC 'The One Show' showing damning video footage of lice-infested salmon swimming inside a salmon farm in Loch Roag captured by photographer Corin Smith. 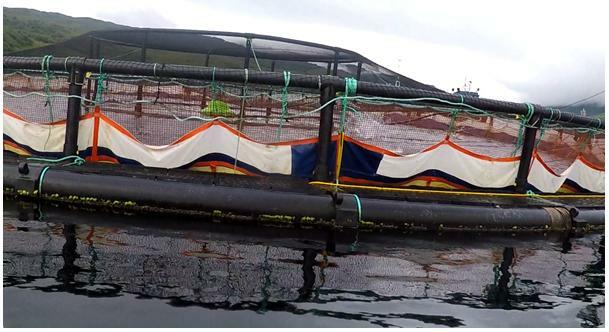 Read in full via: Daily Mail: "Suffering Salmon: Watchdog investigates farm over claims that more than 300,000 fish are infested with lice"
Meanwhile, the Scottish salmon farming industry continues to squirm. 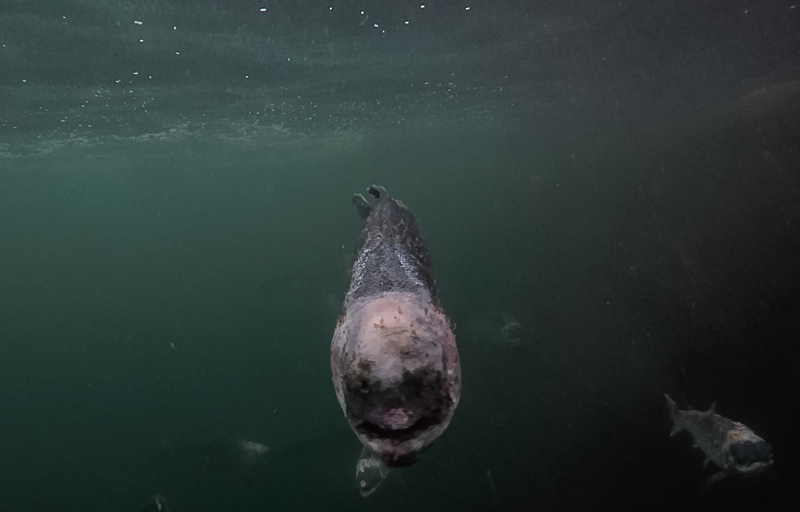 Press Release: "Scottish Salmon Going Rogue in Loch Roag"
Press Release: "Dirty Secrets Lurking Under Scottish Salmon's Lice Skirt"
Press Release: "Shine the Spotlight on Scottish Salmon"
Daily Mail: "Suffering Salmon: Watchdog investigates farm over claims that more than 300,000 fish are infested with lice"
Press Release: "Secret Filming Reveals Shocking Images of Unhealthy Scottish Salmon"
Daily Mail: "Why saving our salmon distresses our dolphins - noise devices to scare predators also put marine mammals at risk""
The Times: "Noisy fish farms 'harm other marine life'"
Shine the Spotlight on Scottish Salmon"
"Sick salmon at Scottish fish farm revealed on film"
"Shocking footage shows diseased and damaged fish on Scottish salmon farm"
"SSPCA under fire over lice-infested salmon filmed at fish farm"
"Salmon farm objector targets Kintyre aquaculture"
Ferret: "Salmon firms bid to block diseased fish photos"
Scottish Salmon Watch: "Secret Filming Reveals Shocking Images of Unhealthy Scottish Salmon"
The Ferret: "Salmon firms bid to block diseased fish photos"
BBC News: "Campaigners claim fish farms are to blame for wild salmon deaths"
BBC News: "Footage shows 'lice-infected wild salmon'"
Daily Mail: "Salmon returned to river on Scottish island are infested with sea lice from local fish farms, claim campaigners"
The Herald: "Shocking images show parasite infested salmon as row over farming continues"
The National: "Scottish wild salmon ‘under threat’ over killer sea lice ‘plague’"
Sunday Post: "WATCH: “Shocking” footage shows diseased and damaged fish on Scottish salmon farm"
Press & Journal: "VIDEO: Concerns raised over sea lice effects on wild salmon"
The Ferret: "Sick salmon at Scottish fish farm revealed on film"
Salmon & Trout Conservation Scotland: "Wild Adult Salmon Run Decimated By Sea Lice"
Scientific Backgrounder: "Secret Filming Inside Scottish Salmon Farms: Diseases, Deformities & Wild Fish Interactions"